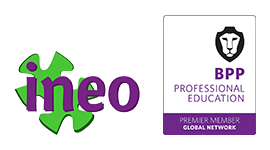 We are the only company in the Czech Republic that was accredited by CIMA global qualification as their official Learning Partner. The new Certificate Level syllabus is fast approaching, with the new exams going live on 11th January 2017. BPP were involved in the consultation process with CIMA for the new syllabus. BPP think that the changes being made are the right ones to make and will be well received by students (especially those who are not keen on theoretical mathematics!). Our new programmes see the launch of BPP Momentum – an exciting approach to learning that recognises that everyone, and the way they learn, is different. BPP Momentum puts you at the centre, giving you more flexibility, more personalisation, more support, more value and more confidence. At the heart of BPP Momentum is competency-based learning; it means you will learn by doing. By progressively gaining knowledge, practising what you have learned and testing as you go, you will build your competence gradually and be in the best position to pass your exams. The more you attempt, the more you will be able to identify your weaker areas and with the range of support offered by BPP Momentum you will understand how to improve. Our range of structured study schedules gives you the flexibility to control your own progression, together we will ensure you succeed. Our new programmes have been designed with your success in mind, which is why we have combined our Taught, Revision and Exam Practice courses into a single programme. 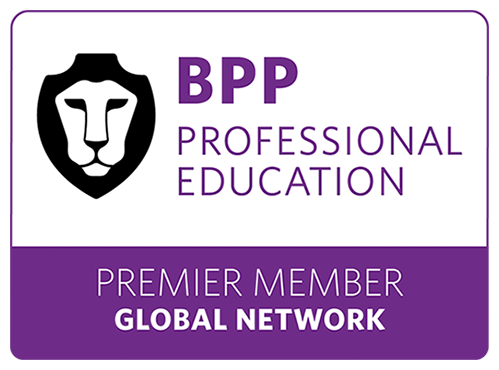 With over 38 years of training success all our content is prepared and delivered by BPP Professional Education’s experts, so you can be confident of their quality, and all our CIMA programmes are Lifetime Pass Assured*, guaranteed – meaning if you are unsuccessful in your exams you can come back as many times as you like. Our programmes incorporate personalised feedback to help you focus study time where it matters most. Through our brand new Achievement Ladder you can track your progression through the paper, helping you identify your strengths and weaknesses much earlier than ever before and reinforcing your understanding as you go. The combination of instant results and personalised feedback means you can focus on the areas you need to improve. We provide a wide range of support, from the very start of your programme all the way up to the exam. 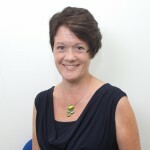 Tutors – All our tutors are qualified and have worked in industry, practice or public services. It is their use of real-life examples to put technical subjects in a practical context that give our programmes the edge. They have one aim – for you to pass first time. Learning Activities – Programme content is broken into topics, with approximately 400 exam-standard questions available for every Objective Test paper. When the assessments are completed you are provided with instant feedback, showing your mark and an explanation of any incorrect answers. Focus sessions – These optional live webinars cover specific areas where students can further improve their understanding and ability including tricky technical areas and reviews of Achievement Ladder assessments. Programme Advisors – Focused on your success, programme advisors provide an additional level of support. If you miss or fail a step on the achievement ladder the programme advisors will direct you to the relevant areas of support to help you get back on track. My Groups – Interaction with other students on the same programme along with BPP Professional Education’s expert tutors, where specific questions and related topics can be discussed. With enhanced support and learning activities, combining Taught, Revision and Exam Practice offers better value than ever. With the number of exams increasing to 17 we understand the need to offer greater value per paper and have reduced the total cost of studying for the CIMA qualification. Ongoing assessments and practice means revision classes are no longer needed and there is no more additional content to learn in preparation for the exam. BPP Professional Education has an exceptional heritage of CIMA success stretching over 38 years, with over 5,000 students passing their exams annually. Our new progressive approach builds your confidence step by step, putting you in the best possible position to pass your exams. All our CIMA papers are now Lifetime Pass Assured*, meaning you can come back on as many CIMA programmes with us as you need to pass. *Full terms and conditions apply http://www.bpp.com/terms/l/lifetime-pass-assurance. The new Lifetime Pass Assurance Scheme does not apply to course purchases made before 24th November 2014 and cannot be used in conjunction with any other offer or promotion run by any BPP group company. No cash alternative available.